Colic is inconsolable crying and distress of your baby. This is very upsetting for you and your baby. It is important to distinguish colic from gastric reflux (GORD). Reflux disease can be diagnosed and treated. Children with colic can be helped. Some have a dairy protein allergy (breastfeeding mums might find a dairy free diet helps). If your baby is drinking an infant formula, then a special milk formula may be needed. 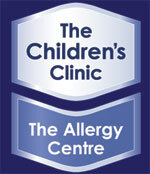 We see and help a lot of colicky babies at the Childrens Clinic, Christchurch.